We’ve seen the Kia Ceed hatchback, now it’s the turn of the estate – at the Geneva motor show today, Kia unveiled the new Ceed Sportswagon, due to arrive in Europe in Q4 2018. 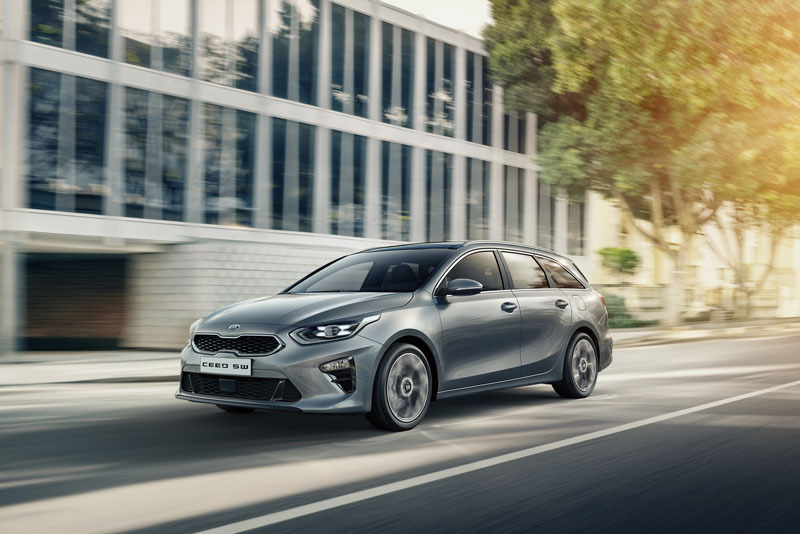 Kia says the previous Ceed Sportswagon has been something of a success for them, with more than 512,000 having been built since 2007, as a result of 40% of buyers opting for the estate variant. The company claims the new Sportswagon will offer greater space than the outgoing model; in fact, Michael Cole, CEO of Kia Europe suggested it offers more storage space than many cars in the segment above. Based on the new K2 platform, the Sportswagon is 20mm wider, 20mm lower, and 95mm longer, although it retains the 2,650mm wheelbase. 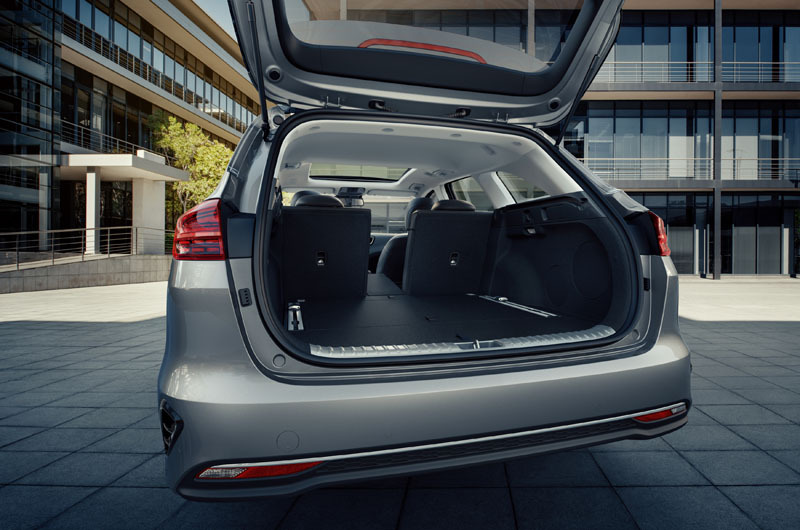 Cargo space is said to be 72 litres larger than the previous model at 600 litres, with a lower load lip, 40:20:40 split rear seats which can be folded using a lever in the boot, and a variety of hooks and tie-downs. Kia’s Smart Power Tailgate can be specified – a bit of a favourite of ours, it opens the tailgate automatically when it detects the key in close proximity; none of this foot-waggling business. 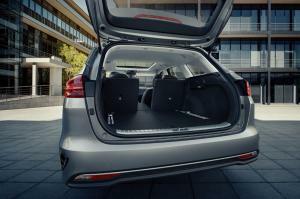 The rear suspension has been tuned to handle the increased load capacity, too. Power comes from a choice of either 1.0-litre turbocharged petrol engine with 120ps, a 1.4-litre turbo with 140ps, and a new 1.6-litre diesel with either 115 or 136ps, both with 280Nm of torque. A 1.4-litre petrol with 100ps will also be offered. 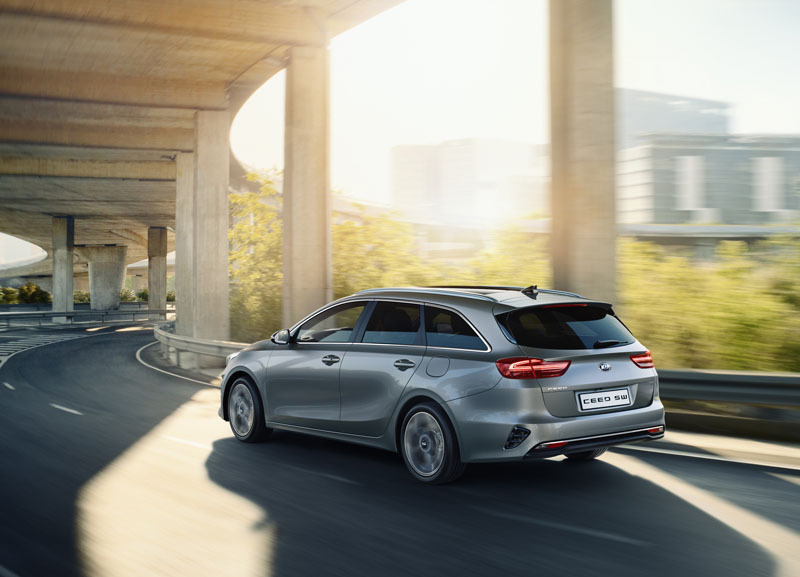 All are mated to a six-speed manual transmission as standard, with the 1.4 turbo and 1.6 diesel available with Kia’s seven-speed dual-clutch transmission. Technology features heavily in the new Ceed range, with infotainment systems featuring 5, 7 or 8-inch touch-screens, and Android Auto and Apple CarPlay standard across the range. A Drive Mode selector offers a choice of set-ups, while useful kit such as a heated windscreen and full LED headlights will also be available. UK pricing and specifications have yet to be announced, but the new Ceed Sportswagon is expected to arrive in Europe during Q4 2018.